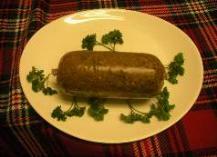 The 100% vegetarian alternative prepared in a artificial casing. 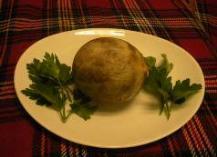 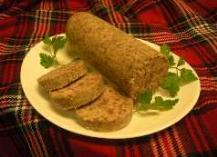 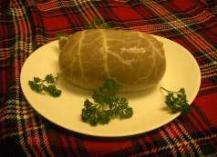 This product is “ready-to-cook” and can be used not only as a vegetarian Haggis but also as an interesting side vegetable dish. 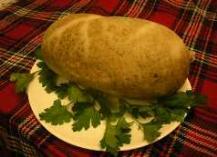 Weighing 500grams, it will feed 2 as a main meal or 4 as a starter.